It was another sunny, dry day, unseasonably pleasant for August. Wizard and I started our ride in the dressage court. The footing was a little slick from the recent rain, though, and after warming up, we rode in the big outdoor arena. I felt less tightness in his back, but he is still reacting when groom him, and I’m putting in a call to the chiropractor for an adjustment. He has not had one in over a year. A noticeable improvement was how free he was in his shoulder. I could feel him reaching up and out more in his stride at the trot. 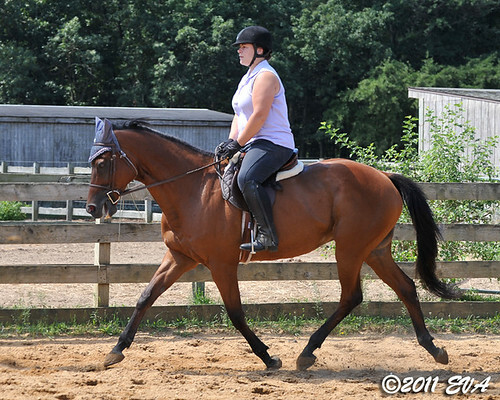 A boarder at the barn also remarked that his stride looked big. 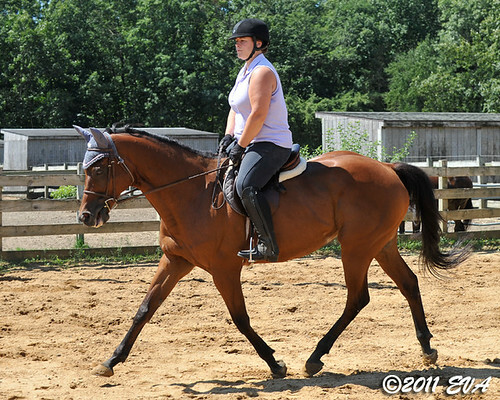 We spent a good amount of time at the trot, using serpentines and transitions work on balance and straightness. 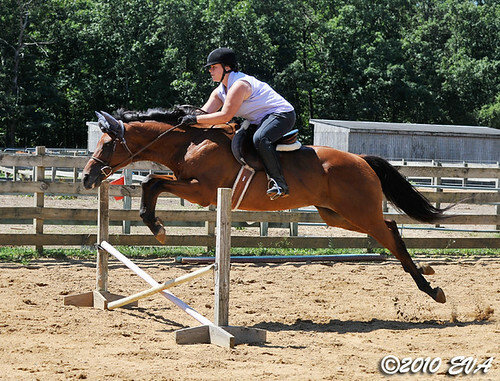 We then trotted in to some cross rails and cantered out. 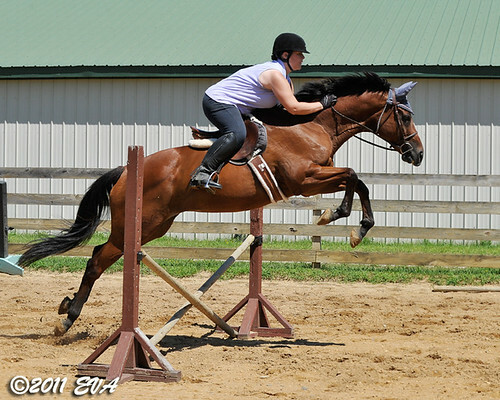 Wizard has not jumped in a while and was LEAPING over even the smallest jumps. I found an old post of yours when I googled venice turpentine. So I looked to see if your blog was still active. Nice to find another good horse blog. He’s definitely happiest when he’s working! Typical Type-A personality.